A zine of select photos I’ve take from the bus window on my commute from over of the past 6+ years. On October 11, 2011, I started a job in New York City. This job requires a daily commute of 2 hours or more each way. That’s around 4-5 hours daily on a bus. During that time, I began to take photos through the bus windows. It started off as just photographing anything that caught my eye. Then it evolved into a game of capturing shots I noticed that would only present themselves depending on the traffic, speed of the bus, or luck. I created this book to give a view into that commute. 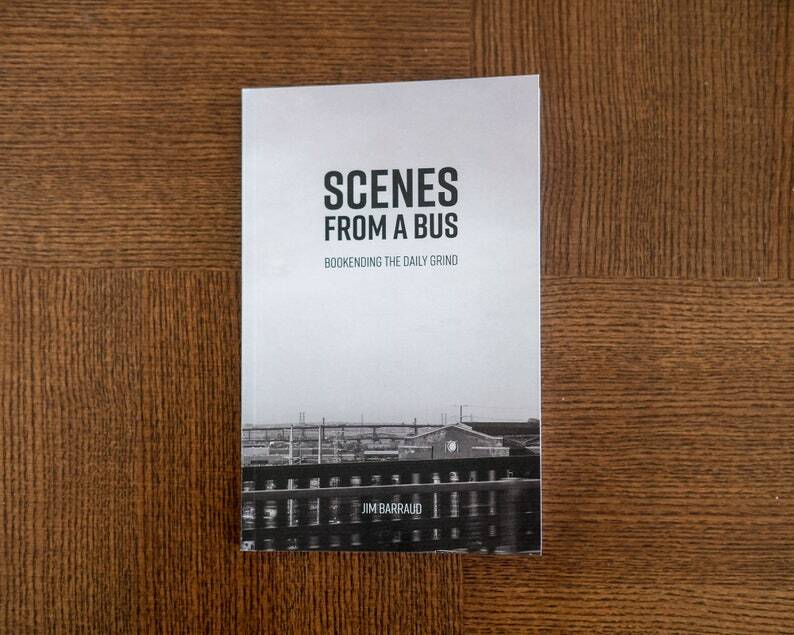 The photos in this book were captured on the bus ride to the city or coming home from a long day. This is an expertly crafted zine. The design and flow of the pages keep you engaged long enough to soak in the photos, but also keep you moving to the next page. The binding is tight and professional, and I got it so quickly in the mail! I included a photo of my favorite image from the book.